The US has repeatedly denounced the Russian-European joint venture to build a direct gas pipeline from Russia to the center of the EU via the Baltic Sea. Apart from lambasting Berlin for colluding with Moscow, Washington has already laid the groundwork for sanctions against companies involved in Nord Stream 2. Russian President Vladimir Putin indicated to the German government that Russia would completely fund the Nord Stream 2 pipeline project in case the US sanctioned the joint consortium, as the German outlet Sueddeutsche Zeitung reported. According to the newspaper, during his visit to the German city of Meseberg in August, he revealed Moscow’s readiness to finance the project despite resistance from the US government. Then he met Chancellor Angela Merkel, and the pipeline project was one of the main topics on the agenda. Donald Trump has repeatedly lambasted the project as well as Russia and Germany, which is one of the key advocates in Europe for the Nord Stream 2 project. Just recently he slammed the pipeline, saying it was “very unfortunate for the people of Germany that Germany is paying billions and billions of dollars a year for their energy to Russia. At the same time, he stated the US was not planning to slap any sanctions against companies involved in the Russian project. The US, which aspires to boost its liquefied gas imports to Europe, has not only spoken out against the Nord Stream 2, but has already taken measures to block the venture. 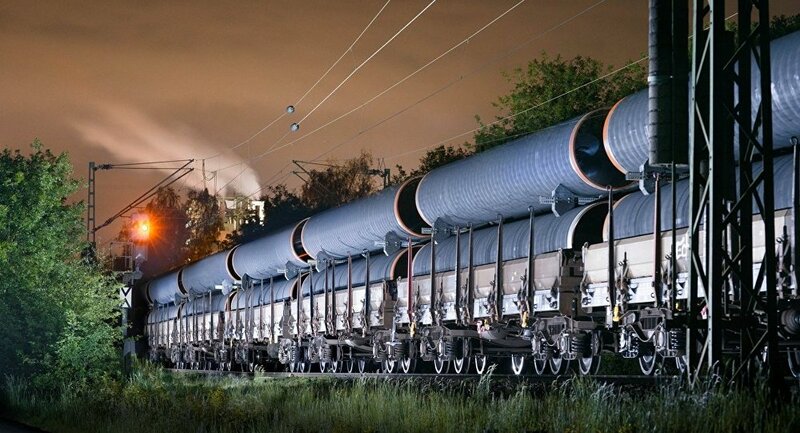 Last year, the CAATSA (Countering America's Adversaries Through Sanctions Act) was adopted, which stipulates the possibility of imposing unilateral sanctions on companies that are directly involved in Nord Stream 2. Nord Stream 2 AG, which is owned by Gazprom, France's Engie, Austria's OMV AG, the UK-Dutch Royal Dutch Shell, and Germany's Uniper and German industrial giant BASF’s subsidiary Wintershall. The amount of Gazprom’s financing tops 50 percent.